Dualogics, LLC is a privately held research and development company located in Chapel Hill, North Carolina that specializes in engineering bispecific antibody therapeutics. Our technology and expertise are uniquely situated to capitalize on the significant drug-development opportunities afforded by bispecific antibodies. Dualogic’s management team has expertise across antibody engineering, corporate partnership development, and immunology. Ryan Hallett co-founded Dualogics in 2015 after receiving the Carolina Innovation Fellowship to launch Dualogics and deploy the OrthoMab technology. He has served as Chief Operating Officer of the company until his appointment as Chief Executive Officer in 2017. Ryan is a protein engineer by training and co-inventor of Dualogics' lead candidate for Type I Diabetes. He holds a B.S. in Chemistry from the University of Florida and a PhD in Biochemistry and Biophysics from the University of North Carolina at Chapel Hill. Dennis McNamara joined Dualogics as Chief Business Officer in October 2016 and was elected to the Board of Directors in October 2017. Previously he was SVP, Chief Business Officer of POZEN Inc. (Nasdaq: POZN) and a member of the company’s Executive Committee, where he was responsible for managing corporate development, commercialization strategy, corporate alliances and intellectual property. Dennis participated in financing activities in which POZEN raised more than $450 million in private and public financing and was instrumental in the recruitment of a new management team, corporate acquisition and financing which transformed POZEN to a commercial stage company. Prior to joining POZEN Dennis was responsible for business development with companies operating in critical care, genomics and vaccines. 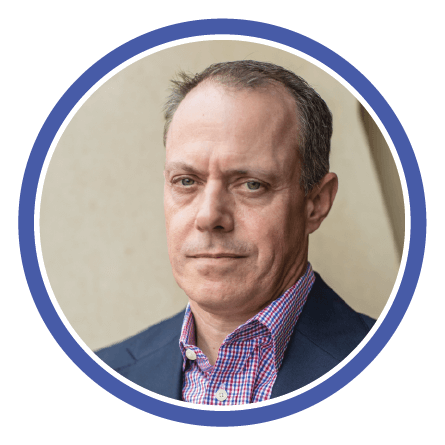 He has structured, negotiated and managed corporate partnerships worth more than $900MM in upfront license fees and milestone payments, and managed the successful prosecution and enforcement of global patent portfolios. Dennis earned his BA from Duke University and his MBA from the University of Michigan. Dr. Jacobs is an expert in the development of creative solutions to protein engineering and drug delivery challenges. Prior to joining Dualogics, Dr. Jacobs held multiple roles at the University of North Carolina, where he pioneered a novel protein design strategy inspired by protein evolution. Dr. Jacobs' has significant technical expertise in both computational and experimental engineering strategies and excels in technical communication and scientific management. Dr. Jacobs' works have been recognized in a number of leading academic journals. Dr. Roland Tisch has spent the last 20 years of his career studying T cell mediated autoimmunity and the underlying mechanisms of Type I Diabetes. He currently holds a faculty position at the University of North Carolina at Chapel Hill in the Microbiology and Immunology department. Roland received the 2013 Living and Giving Award from the Juvenile Diabetes Research Foundation (JDRF) for his work in the field of Type I Diabetes. The Dualogics scientific advisory board brings deep expertise from key-opinion-leaders in computational protein modeling, antibody engineering, and relevant disease areas. Additionally, Dualogics has a network of disease-area experts that are formally brought on board as the therapeutic programs they oversee enter IND-enabling studies. Brian has been a professor in the Biochemistry and Biophysics department at UNC Chapel Hill since 2002. During his postdoc with David Baker, Brian worked as one of the initial developers of the Rosetta molecular modeling suite, resulting in the design of a previously unobserved protein fold. Brian’s lab specializes in the design and engineering of proteins and protein interfaces. His work has led to multiple patents related to protein engineering, including the designed protein interface used to generate OrthoMab bispecific antibodies. Brian enjoys solving complex protein design problems with creative solutions. 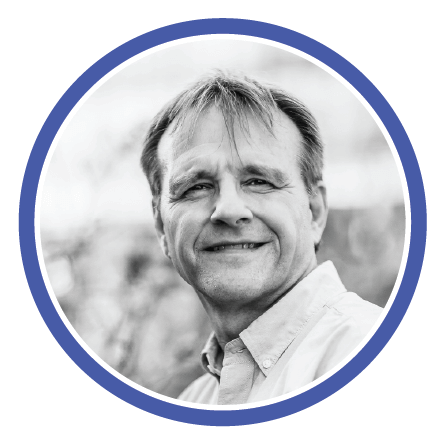 Brian serves as head of scientific advisory board at Dualogics, imparting his 20 years of protein engineering experience, and creativity in solving complex protein design problems. Andrew Leaver-Fay earned his PhD in Computer Science at the University of North Carolina developing algorithms for protein design and molecular modeling. 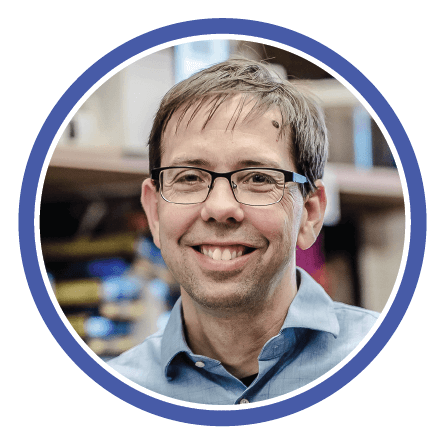 He lead the rearchitecturing of the Rosetta molecular modeling suite as a post-doc in the Baker Lab at the University of Washington, and remains its lead software engineer as a research professor at UNC. He developed the multistate design algorithm used to engineer specificity into the antibody domain interfaces, and is an inventor on many of the OrthoMab patents. Andrew's research interests include software engineering, algorithm development, energy function refinement, protein interface design, and protein structure prediction. The Dualogics team is growing. We are looking for self-motivated scientists with antibody development experience. If you are interested in working with us, licensing, or investing, send us a message and we will get back to you.